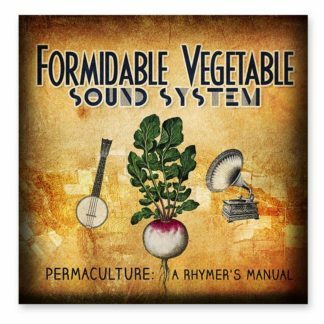 The Formidable Vegetable Sound System brings a practical wake-up call to action covering the 12 permaculture principles on a ukulele put to various radish beets. Each track is featured on this website to compliment the principle examples. Available as a download in mp3 format with PDF’s of the song lyrics, or on a real life CD. 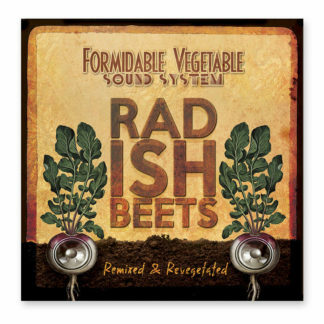 Also, check out the remixed and revegetated version Radish Beets. 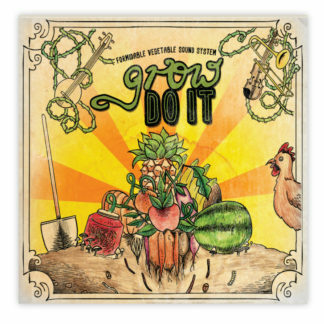 Is this the first ever permaculture concept album? Permaculture: A Rhymer’s Manual is a whole new way to learn all 12 of the principles, with catchy beats that not only get your toes tappin’ but will inspire you to get into motion. Stream some tracks of ‘Sample Music’ from the tab above or check out the ‘Yield’ video below for a tempting taste of permaculture. You can also download the song lyrics and chords from our free downloads page. NOTE: The download version of this album is around 87MB, compressed into a ZIP archive (.zip) and may take several attempts to download successfully if you have a satellite or mobile internet connection – dial-up connections are not recommended.